How to Fix your Leptin Resistance and Take Control of your Weight Loss? Most people believe that weight management is only about calorie calculation and exercising. However, research has shown that hormone called leptin plays a vital role in hunger and weight management. Also called the “fat hormone” or the “starvation hormone”, leptin hormone was first discovered in the early 1990s and came into spotlight for affecting weight loss and cravings. The supplements aisle today are stocked with numerous leptin supplements including popular brands like Biotrust Leptiburn or Leptinal. Leptin is a protein hormone, secreted by our fat cells, and is responsible for monitoring the number of calories we eat and spend, as well as the amount of fat our body stores. The more fat cells our body has, the more leptin it produces. Circulating via the bloodstream it reaches the brain. High levels of leptin tells the brain that it has sufficient energy stored in the fat cells and its time to stop eating. 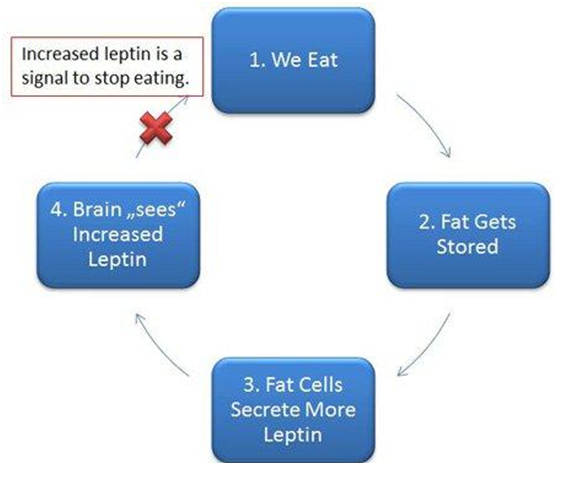 Conversely, when the brain senses that the leptin signals are low it signals the body of depleting fat stores and pushes the body into the starvation mode. This is translated as initiation of processes like hunger prangs and cravings. 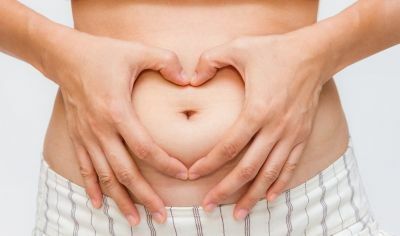 The hormone also helps regulate our body’s metabolism. Low leptin level means slower metabolism, and vice versa. Once our body reaches the sufficient energy levels, leptin increases your metabolic rate to burn fat and reach an energy balance. The problem begins when the brain does not read the leptin signal, a condition known as Leptin resistance and is being extensively studied as the leading driver for obesity. The leptin levels might be above the threshold, as a result of lots of energy and fat storage, but the brain does not sense the leptin levels correctly. The brain thinks that the body is starving and initiates the starvation mode process, resulting in overeating and reduced energy expenditure. Like any other hormonal disorder, it’s difficult to point out a single reason for leptin resistance in an individual. Some of the factors contributing to leptin resistance include increased fructose intake, stress, lack of sleep, increased insulin levels and increased carb consumption. Basic logic tells us that ingesting leptin in obese people through supplements or leptin-rich foods should improve metabolism and reduce appetite. However, human studies suggest that leptin supplements are not effective in weight loss, unless the individual does not produce any leptin at all. Most obese people do not lack the leptin hormone, but are resistant to leptin, so their brain does not get that "full" signal and they keep feeling hungry. The good news is that the condition is reversible and the brain can be re-sensitized to read the leptin levels correctly. The best way to achieve this is to lower the leptin hormone levels with healthy food choices and exercising. · Cut down on sugar, fructose, sucrose (and other foods ending with –ose) and carbs, which are readily converted to energy, makes sure that you are burning your fat stores rather than just the carbs you consume. Reduce the intake of refined and processed foods, which cause diet-induced inflammation, which is the prime reason for leptin resistance. Limit your grains consumption. Grains too turn to glucose easily and contain lectin that increases leptin resistance. Eating high-protein breakfast and good fats like meat and avocado, boost your metabolism and helps you lose weight. Avoid eating right before sleeping or mid-night munching. Your body and hormones need a break too. Eat meals at regular intervals to avoid binge eating and food cravings. Ensure taking a good night’s sleep for atleast eight hours to boost metabolism. Increase your Omega-3 consumption by eating plenty of whole foods, nuts, fish oil and grass-fed meat or wild fish. It helps reduce inflammation and regulate healthy leptin levels. Exercise regularly. However setting yourself up unrealistic goals and fad dieting will only take you farther from your goal in the long term. If your exercise plans are not fruitful, try including weightlifting to turn on your metabolism and reset your leptin levels. If you feel that you hit the plateau with your weight loss, despite your regular exercising or bring caloric deprived for too long, try including a re-feed day in your plan. Increase your carbohydrate intake and keep protein low and fat intake to a minimum. This will re-stimulate for metabolism and your leptin levels. Intermittent fasting and detoxification can also prove beneficial in boosting metabolism and flushing out toxins from the body. However, if you are leptin resistant, talk to your healthcare professional before you start exercising and change your lifestyle and focus on healing your body. Leptin is one of the most important hormones that you quite possible have been overlooking in your journey to lose weight and regain shape. If your leptin levels are not regulated, you might not be able to achieve the leanness that your efforts are worth. Furthermore, your energy levels, mental alertness, and efficiency may suffer as well.